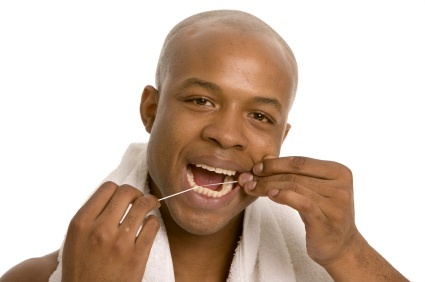 Dental Hygiene: You can easily prevent one of the most common causes of a root canal (decay) by taking a few extra minutes out of your day to floss and brush your teeth. Without a daily thorough cleaning, bacteria and plaque begin building up around your teeth, causing cavities that can let bacteria seep in and damage your tooth pulp. A little preventative work can go a long way in preserving your teeth. Regular Dentist Visits: While daily oral hygiene habits are a major component in preventing a root canal, brushing and flossing can’t reach every area of your mouth. Biannual dentist visits are recommended for a professional teeth cleaning. Visiting your dentist is also important for early cavity detection. If cavities are caught in the beginning stages, they can easily be solved with a filling instead of needing root canal therapy. Sports Mouth Guard: Other common causes of a root canal are injury or trauma to a tooth. While it is difficult to prevent accidents, you can reduce your chances of tooth injury by wearing a sports mouth guard during high contact sports. Many Provo general dentists offer sports mouth guards as part of their services. Prevent Cracks in Teeth: Aside from decay and injury, tooth cracks are one of the biggest ways that bacteria have access to your tooth pulp. To reduce your chances of having a cracked tooth, be careful not to clench or grind your teeth. If you think you may grind your teeth in your sleep, talk to your dentist about a night guard. Chewing on hard objects (i.e. ice, popcorn kernels, etc.) can be a major tooth-cracking hazard. Remember that your teeth are not indestructible, so be cautious with how you use them. To learn more about preventative measures you can take to prevent a root canal procedure, or to find out about how to handle a root canal, call Cascade Endodontics at 801-404-5810 to schedule an initial consultation with Provo endodontist Dr. Jon Jenson.